While driving to the office one morning, I passed a dry-cleaning establishment which had a sign by the side of the front door. It read, “It’s the Service That Counts.” I suppose in a highly competitive field such as the dry-cleaning business and many others, the differentiating factor which distinguishes one store from another is, in actual fact, service. The message from the small sign simply would not leave my mind. Suddenly I realized why. In actual fact it is the service that counts—the Lord’s service. All of us admire and respect that noble king of Book of Mormon fame—even King Benjamin. How respected he must have been for the people to gather in such great numbers to hear his words and receive his counsel. 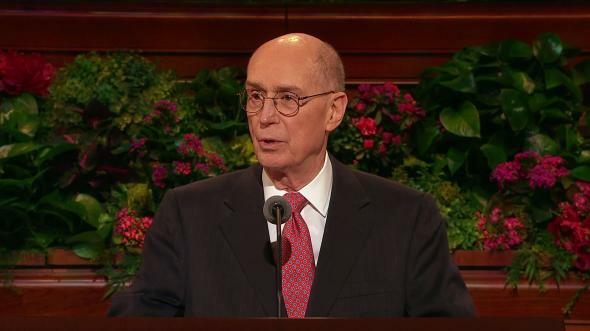 I think it most interesting that the multitude “pitched their tents round about the temple, every man having his tent with the door thereof towards the temple, that thereby they might remain in their tents and hear the words which king Benjamin should speak unto them.” (Mosiah 2:6.) Even a high tower had to be erected that the people might hear his words. “Because I said unto you that I had spent my days in your service, I do not desire to boast, for I have only been in the service of God. 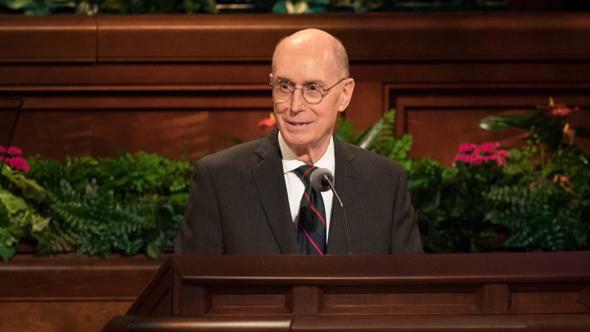 This is the service that counts, brethren—the service to which all of us have been called, the service of the Lord Jesus Christ. “Come unto me, all ye that labour and are heavy laden, and I will give you rest. “Take my yoke upon you, and learn of me; for I am meek and lowly in heart: and ye shall find rest unto your souls. Many assembled tonight have responsibility to provide leadership to those holding the Aaronic Priesthood. To you I say: The finest teaching you can provide is that of a good example. Youth need fewer critics and more models to follow. All of us who are engaged in the Lord’s work have the responsibility to reach out to those who are less active and bring them to the service of the Lord. Their souls are ever so precious. “And how great is his joy in the soul that repenteth! “Wherefore, you are called to cry repentance unto this people. “And if it so be that you should labor all your days in crying repentance unto this people, and bring, save it be one soul unto me, how great shall be your joy with him in the kingdom of my Father! With this perspective firmly in our minds, we are prepared to serve in the great mission of bringing souls unto Him. Many of you hold the Aaronic Priesthood. You are preparing to serve as missionaries. Begin now to learn in your youth the joy of service in the cause of the Master. 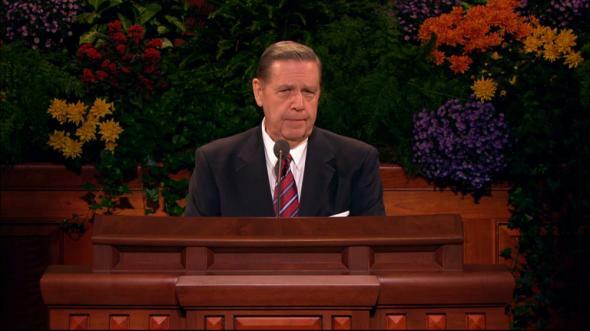 “I am living in Bountiful now. 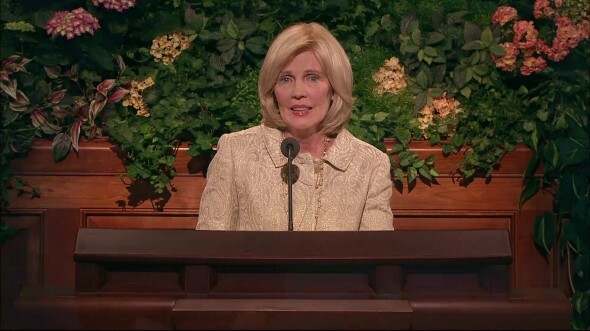 I miss the people of our old stake, but let me tell you of a wonderful experience I have had. In early November all the widows and older people received an invitation to come to a lovely dinner. We were told not to worry about transportation since this would be provided by the older youth in the ward. 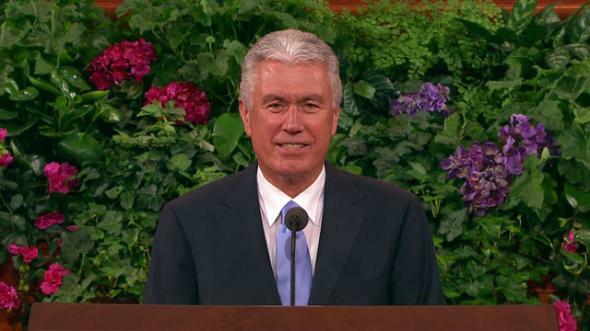 “At the appointed hour, a very nice young man rang the bell and took me and another sister to the stake center. He stopped the car, and two other young men walked with us to the chapel where the young ladies took us to where we removed our wraps—then into the cultural hall, where we sat and visited for a few minutes. Then they took us to the tables, where we were seated on each side by either a young woman or a young man. Then we were served a lovely Thanksgiving dinner and afterward provided a choice program. “After the program we were given our dessert—either apple or pumpkin pie. Then we left, and on the way out we were given a plastic bag with sliced turkey and two rolls. Then the young men took us home. It was such a nice, lovely evening. Most of us shed a tear or two for the love and respect we were shown. I add my own commendation: God bless the leaders, the young men, and the young women who so unselfishly brought such joy to the lonely and such peace to their souls. Through their experience they learned the meaning of service and felt the nearness of the Lord. “Brother Hall began to cry. Said he had tried others. Could not get any. Went to the cedars and prayed to the Lord and the Lord told him to go to Joseph Millett. Brethren, the Lord knows each of us. Do you think for a moment that He who notes the sparrow’s fall would not be mindful of our needs and our service? We simply cannot afford to attribute to the Son of God the same frailties which we find in ourselves. A while back, my good friend G. Marion Hinckley from Utah County, my fellow trail rider, came to the office with two grandsons who were brothers, one having served an honorable mission in Japan and the other in Scotland. 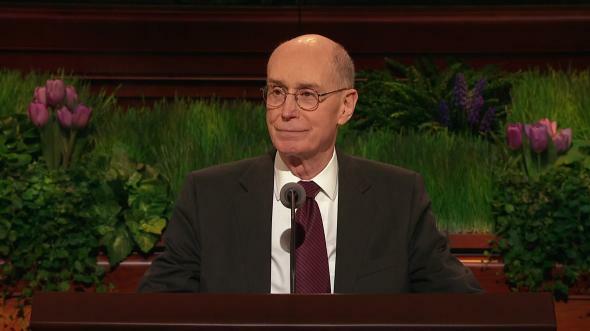 Brother Hinckley said, “Let me share with you a wonderful experience which came to these grandsons of mine.” His buttons were almost bursting with pride. In faraway Japan, a commercial street photographer stopped one of the brothers, having taken a picture of him holding a small child. He offered the print for sale to the missionary and his companion. They explained that they were on a tight budget, that they were missionaries, and they directed the photographer’s attention to their nameplates. They didn’t purchase the picture. Some months later, the brother serving in Scotland was asking two missionaries why they had arrived late for a zone meeting, when they told this story: A most persistent street photographer had attempted to sell them a picture of a missionary in Japan holding a small child. They had no interest in the picture, but to avoid arriving even later at their zone meeting, they purchased it. 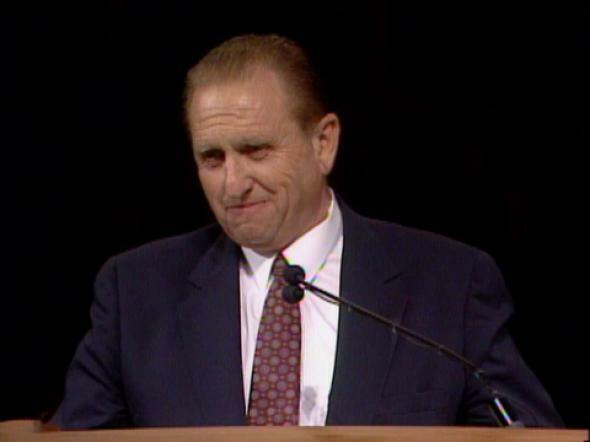 “A likely story,” responded Elder Lamb, whereupon they handed him the picture. He could not believe his eyes. It was a photograph of his own brother in faraway Japan. 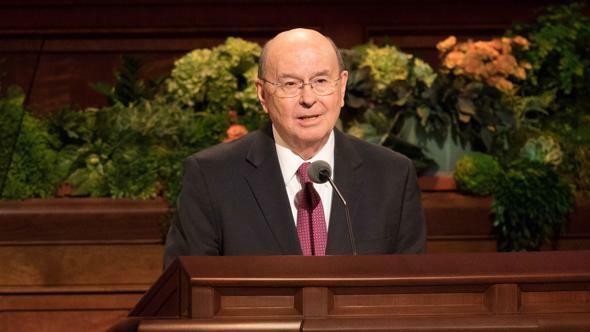 As they departed my office, I thought, Yes, the Lord is mindful of his missionaries—and their fathers, their mothers, their grandparents, and all who sacrifice for their support, that precious souls may be taught and provided His gospel. Now, many are not on the front line of missionary service in the Church callings they fill. Does God remember them also? Is He mindful of their needs and the yearnings of their hearts? 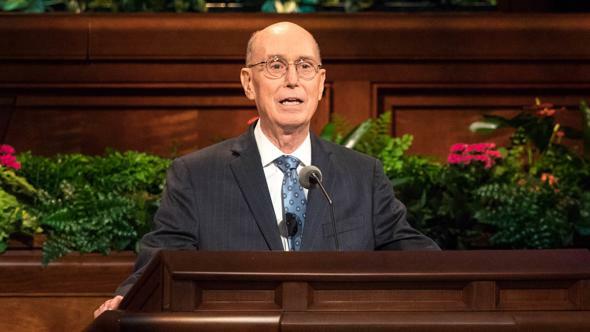 What about those who have been in the limelight but grown old with faithful service, have been released and have slipped into the anonymity of the vast congregation of Church members? To all such individuals I testify that He does remember and He does bless. Many years ago I was assigned to divide the Modesto California Stake. 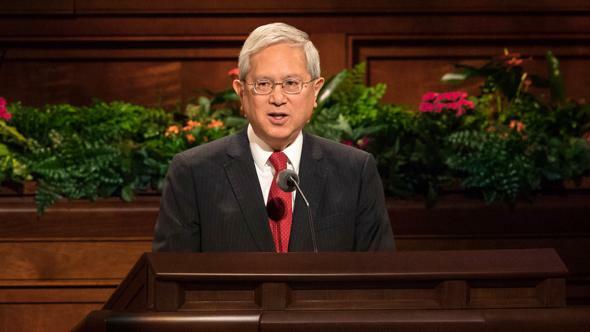 The Saturday meetings had been held, the new stake presidencies selected, and preparations concluded for the announcements to be made the following morning in the Sunday session of conference. “We don’t know exactly,” they replied. The response was a good one, for the building was filled to capacity. With every eye watching him, Clifton Rooker made that long walk from the rear of the building right up to the front and sat by my side. 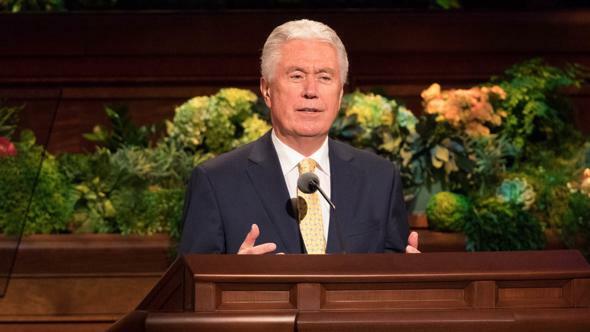 It became my opportunity to call upon him, one of the pioneers of that stake, to bear his testimony and to tell the people whom he loved that he was the actual beneficiary of the service he had rendered his Heavenly Father and which he had provided the stake members. We proceeded to the high council room. 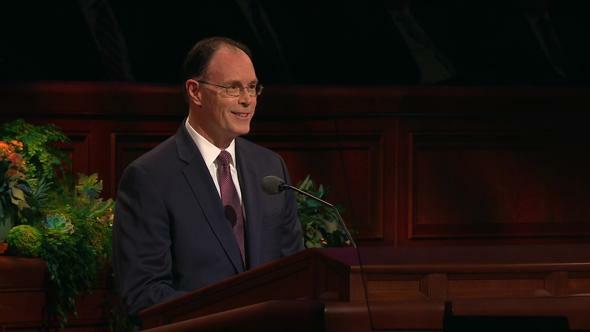 There, with his hands joining my hands and the hands of the outgoing stake presidency, we set apart to their callings the two new stake presidencies. Brother Rooker and I embraced as he said good-bye and went to his home. 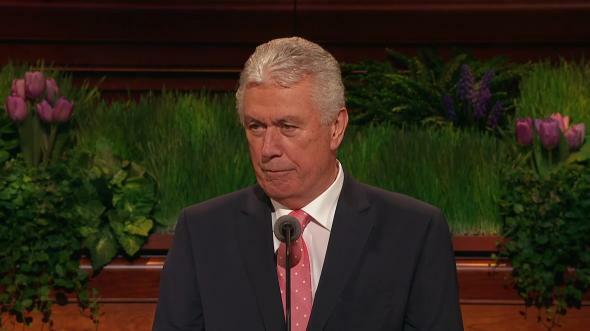 As I heard that message from Brother Rooker’s son, I paused to thank God for the inspiration which came to me to invite this good man, while he was yet alive and able to enjoy them, to come forward and receive the plaudits of the stake members whom he had served. “And he shall set the sheep on his right hand, but the goats on the left. “Naked, and ye clothed me: I was sick, and ye visited me: I was in prison, and ye came unto me. “Then shall the righteous answer him, saying, Lord, when saw we thee an hungred, and fed thee? or thirsty, and gave thee drink? “When saw we thee a stranger, and took thee in? or naked, and clothed thee? “Or when saw we thee sick, or in prison, and came unto thee? That each of us may qualify for this blessing from our Lord is my prayer, in the name of Jesus Christ, amen.